The In Search of Timothy series by Tony Cooke explores the roles of Timothy and other biblical figures who accomplished the plan of God by serving others. This teaching series is specifically targeted to help you become the servant, worker, and leader in the Body of Christ that God intends you to be. 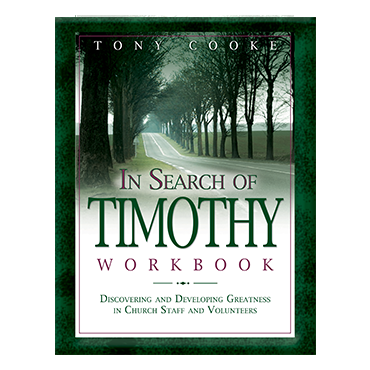 This workbook corresponds directly to the textbook, CDs, and DVDs in the In Search of Timothy Complete Leadership Training Course.